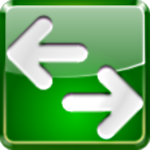 A little utility to fast switch users in Windows. Tired of choosing every time "shut down / switch user"? Just put this little tool on the task bar and with one click you will be teleported to the user selection screen!